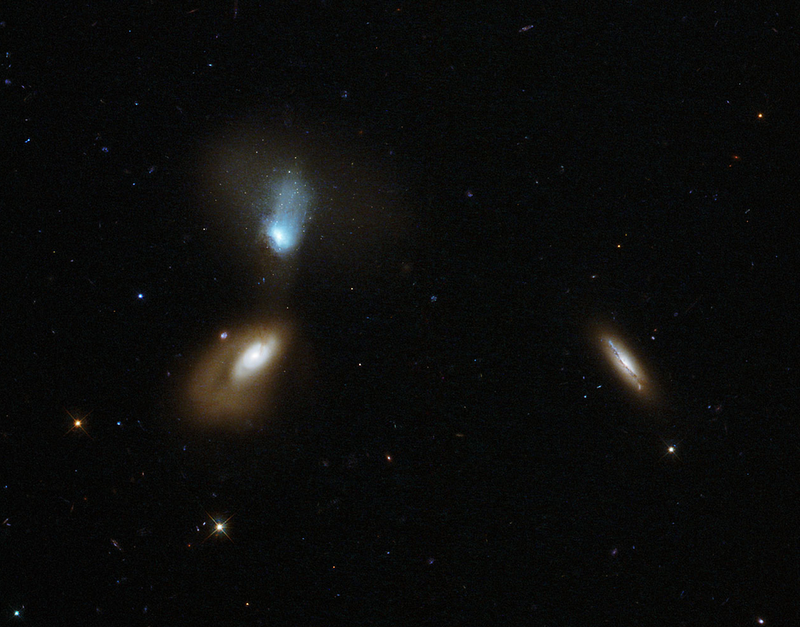 [SatNews] Both galaxies in this pair have disturbed shapes and extended soft halos. This new NASA/ESA Hubble Space Telescope image shows a whole host of colorful and differently shaped galaxies; some bright and nearby, some fuzzy, and some so far from us they appear as small specks in the background sky. Together they appear as kind of galactic soup.